Adobe Creative Cloud has been hacked, less than a month after it went live. Magnet links for at least two versions of Adobe Photoshop CC 14 are available on Pirate Bay. Links for Dreamweaver CC 13 and Adobe Illustrator CC 17 are also listed on the site. All of the pirated versions are for Windows. Adobe has so far refused to comment on the news. It has however confirmed it is looking into the issue. Photoshop is the world's most pirated application. Analysts speculated at the time the move to a cloud-based infrastructure was motivated by the high levels of piracy. A study by the Software and Information Industry Association in 2012 found that Photoshop was pirated twice as much as the next most popular software, Microsoft Office. Adobe faced a backlash from media professionals when it first announced it was killing off its Creative Suite packages. The news lead to a number of publications listing alternatives to popular Adobe software, such as Photoshop. A number of professionals and organisations also said the move would force them to reconsider using Adobe software in the future. One US university in particular said that it was already looking at alternatives due to the significant rise in costs it would be facing. Adobe, however, has claimed that the new pricing has seen an uptake in the number of people using its software legitimately. In addition to requiring internet access, Adobe Creative Cloud differs from Creative Suite in the way it is paid for. Creative Suite had a high upfront cost, but the licence was perpetual – meaning it never ran out. Recent studies have found that many organisations are still running CS3, which was released in March 2007. The difference in price is significant over that period of time. Adobe Creative Suite 6 Design Standard, which includes Photoshop, Illustrator, InDesign and Dreamweaver sells for £1,126.49 on Amazon. Compared to that, Adobe Creative Cloud Design edition costs £46.88 per month, or £562.56 per year. 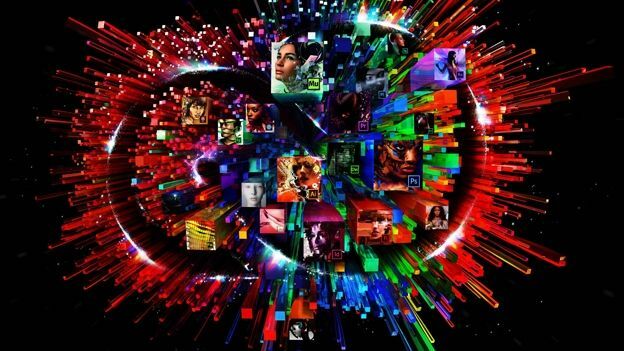 Over six years, Creative Cloud costs £2,248.87 – almost twice the price. Rejoice, Black Friday discounts have landed on Adobe CC plans!